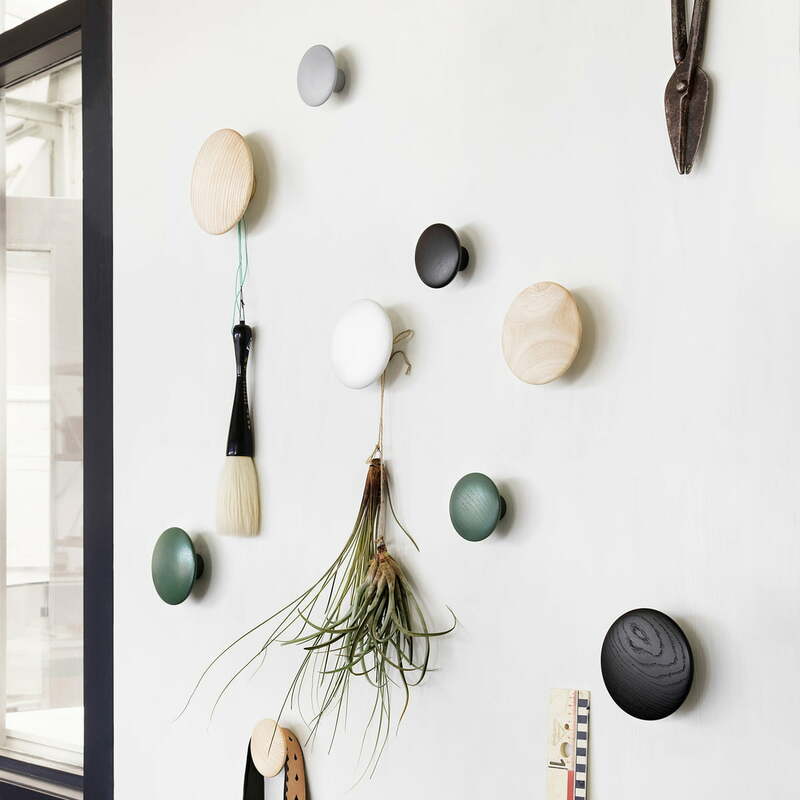 Muuto's "The Dots" are named after their extra small wall hooks that act like colourful dots on the wall, adding cheerful colour accents while holding coats, bags and accessories securely in place. 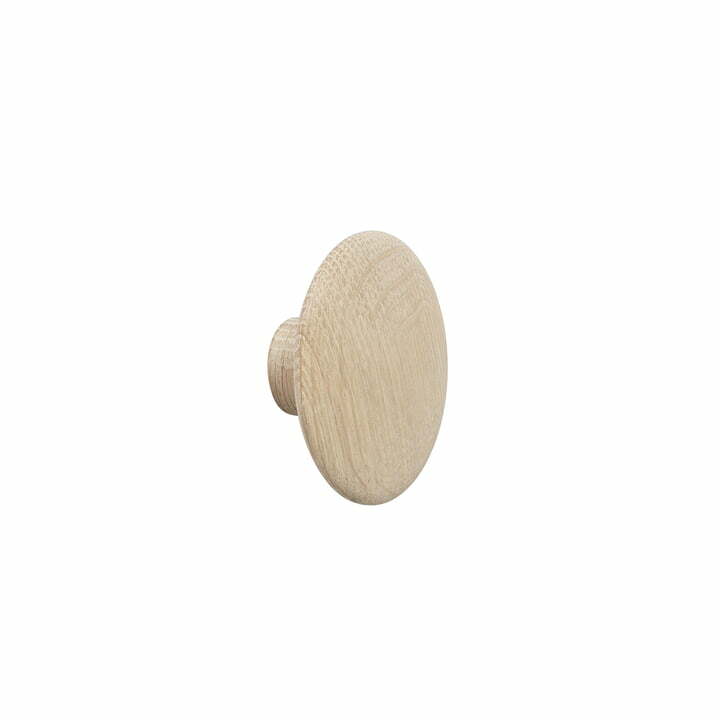 The designer Lars Tornøe is responsible for the design of the coat hooks. 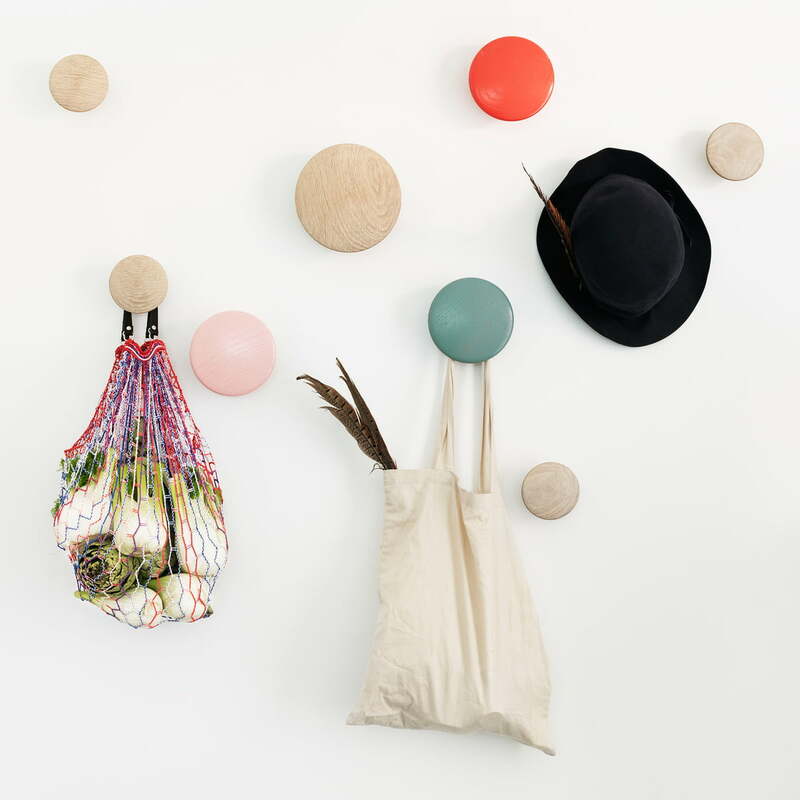 The dots are characterised by their simple, round shape, which is perfect for hanging up garments. 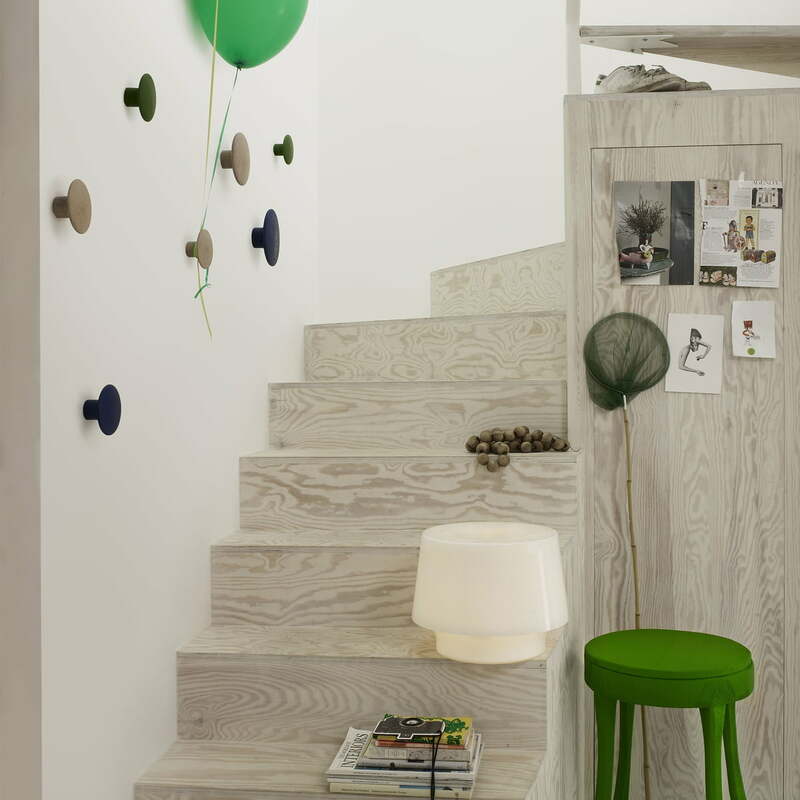 But also individually without clothes decoratively placed on the wall, the dots provide a great eye-catcher. The dots are useful and decorative at the same time, as a wardrobe for jackets and scarves in the hallway or in the bedroom for hanging jewellery and accessories. They are available in different coloured lacquers as well as in different types of wood. Wall hook "The Dots" single X-Small in oak by Muuto in single view. Lars Tornøe's "The Dots" for Muuto are named after the extra small wall hooks that look like colourful dots on the wall, adding cheerful colour accents while holding coats, bags and accessories securely.